Happy Earth Week! 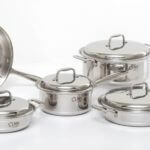 For every Flatware Set, Cookware and Bakeware piece purchased we're planting a tree with the help of One Tree Planted! 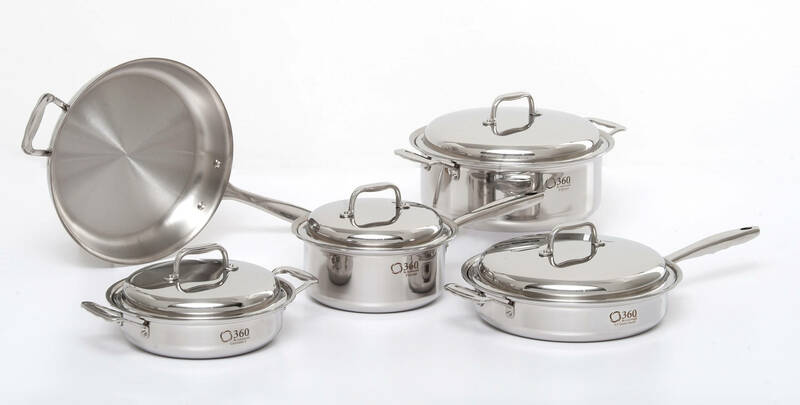 In addition to fine quality flatware Made in The USA, Liberty Tabletop is pleased to offer our loyal customers a line of high quality clad stainless steel cookware. 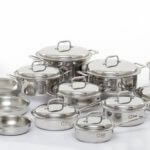 The manufacturer of the cookware is located in Wisconsin and everything is Made in the USA except for the handles, but we are working with them on that! When we first saw this cookware we were astonished at its sturdy construction, beautiful finish, weight and ergonomic handle design. 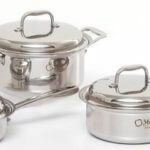 When we cooked with it we were amazed at what can be done using the vapor technology. 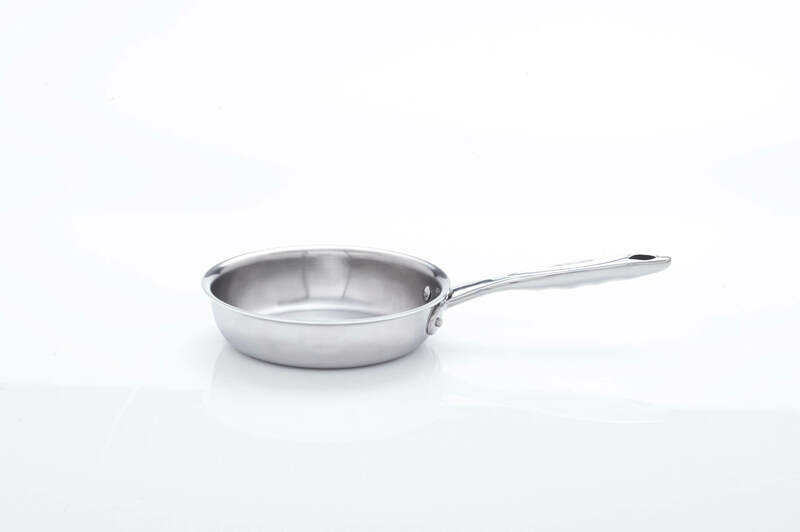 Although this is not non-stick coated cookware, which we believe is not a very safe thing to use anyway, cleanup is easy and it is 100% dishwasher safe. The overall quality of this cookware is outstanding and it is backed by a 25 year warranty, making it truly "the last cookware you will ever have to buy". Once you try it we think you will agree! 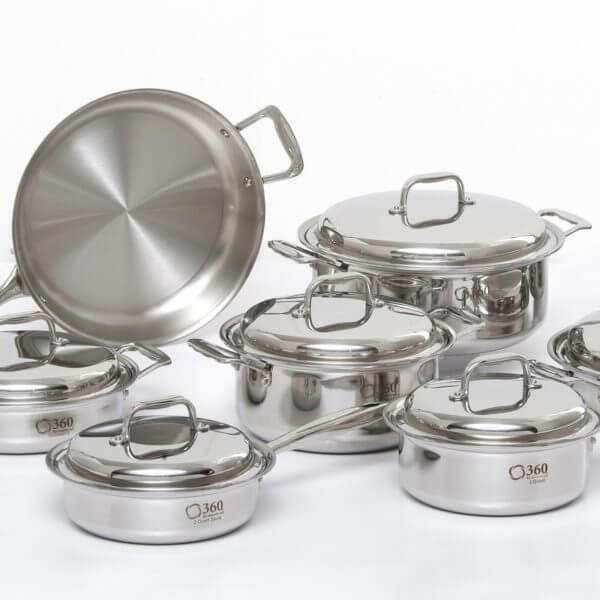 360 Cookware is made of multiple layers of high-grade metals that form a core of bonded aluminum that is not only on the bottom of the pan like other cookware, but the same metal is carried through the sides and lip of the pan, creating remarkable heat conductivity. Unlike aluminum cookware, all 360 Cookware is encased in safe, non-leaching T-304 stainless steel, so your food never comes into contact with soft metals, non-stick coatings and other potentially-hazardous elements that can seep into your food. 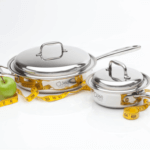 Your food remains clean and safe while it cooks quickly yet gently at lower temperatures, preserving purity, flavor, vitamins, money…oh, and your waistline, too. 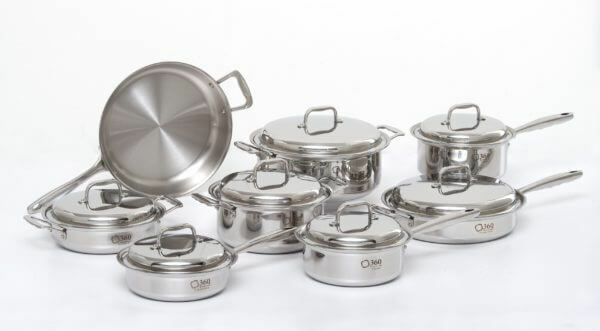 Simply put, 360 Cookware is unlike any cookware you’ve ever tried. Our unique vapor technology allows you to taste your food as it was meant to be – and get way more out of your meals. 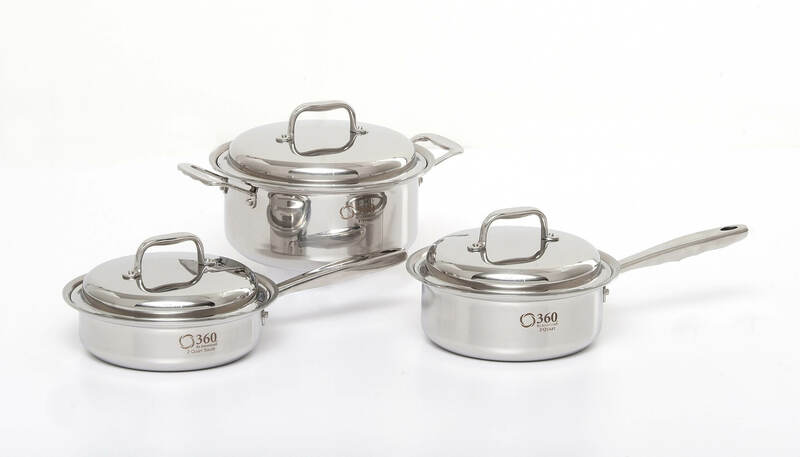 360 cookware is oven and dishwasher safe! 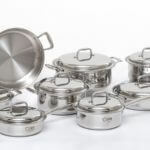 Please note: Standard UPS shipping rates will apply to all cookware orders (including those over $99.00 or combined with flatware purchases) Cookware and lids are manufactured in the United States but the handles are imported. We are working with our vendor on that! 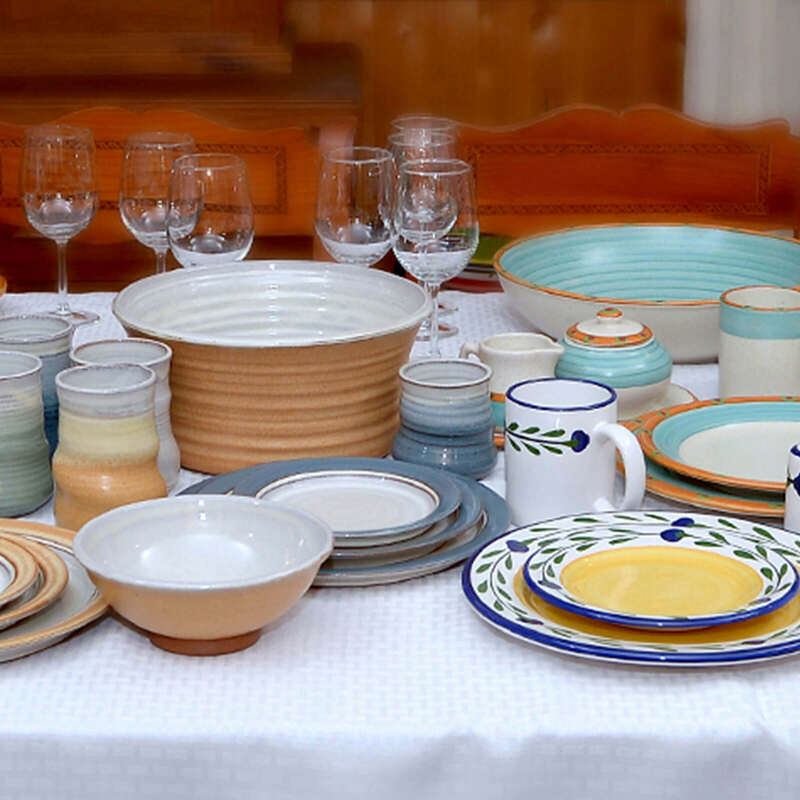 At present we can say these products are 85% Made in USA based on percentage of cost. I AM loving what I have seen so far AND the liberty collection is wonderful. 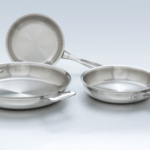 The Only Flatware Manufacturer in the U.S.A. 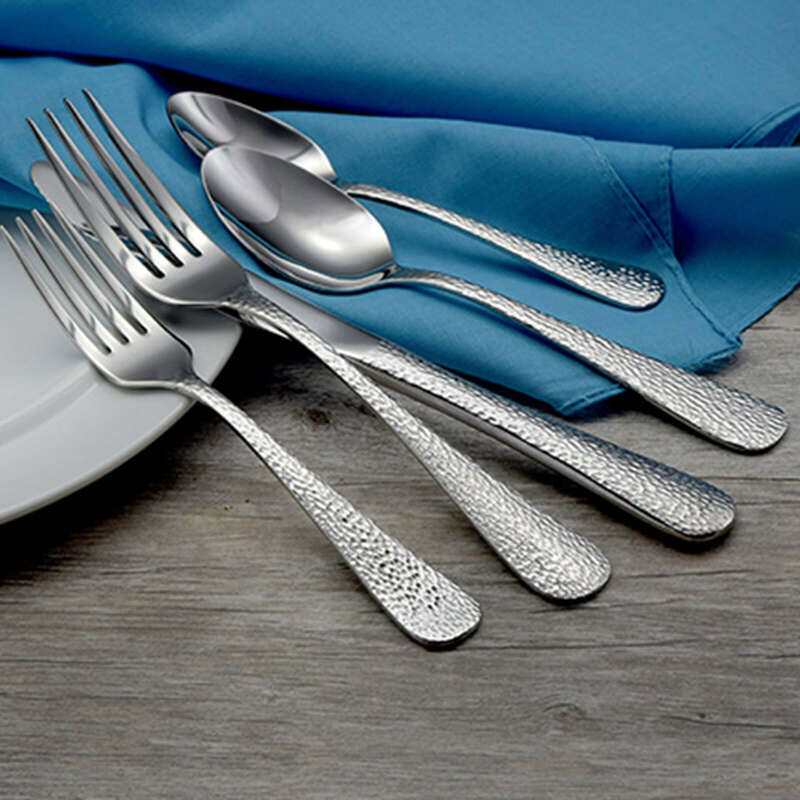 The flatware sets and accessories created for you by Liberty Tabletop are made in the United States, employing American craftsmen and using the highest quality materials. 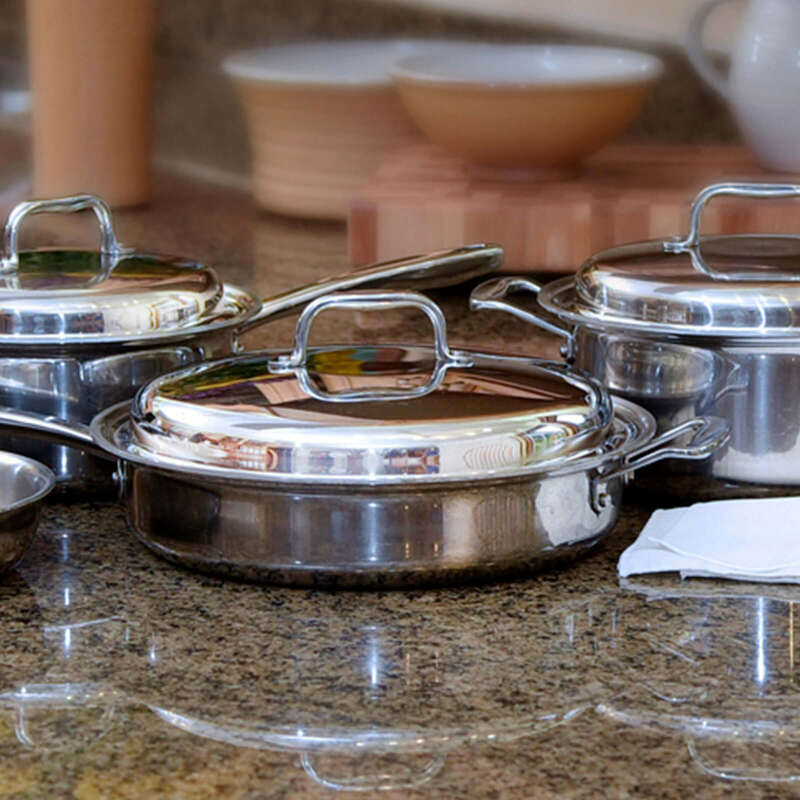 Our flatware is 18/10 stainless steel, meaning it will retain its attractive luster as it is passed down through generations. And, we use the traditional, time-honored technique of hollow handle knife construction. The design, materials, weight and balance are tactile indicators of a level of quality and craftsmanship you can expect every time you pick up Liberty Tabletop flatware. 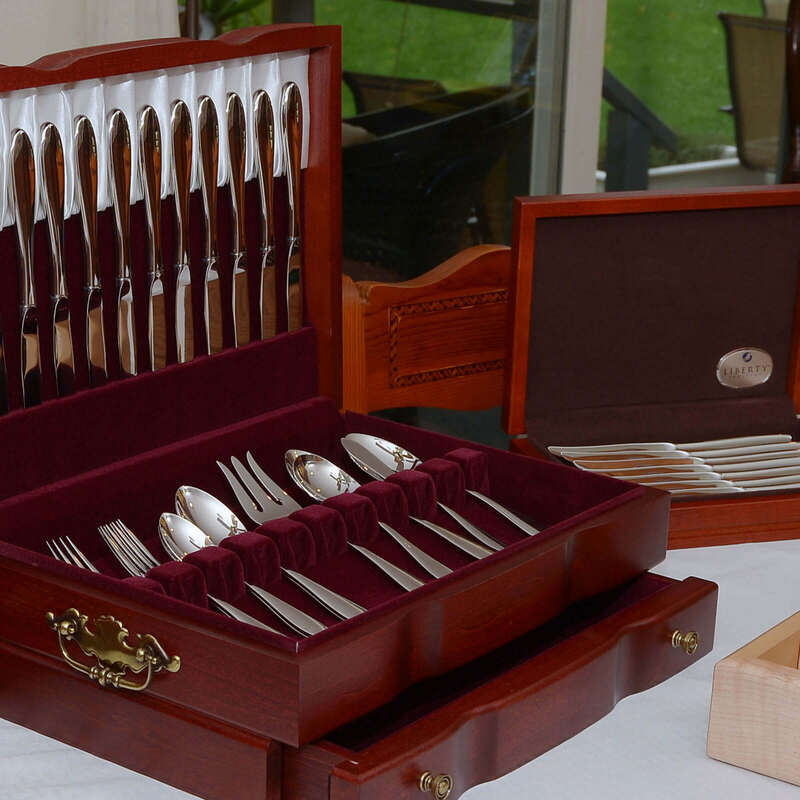 Quality flatware & silverware built to last a lifetime.